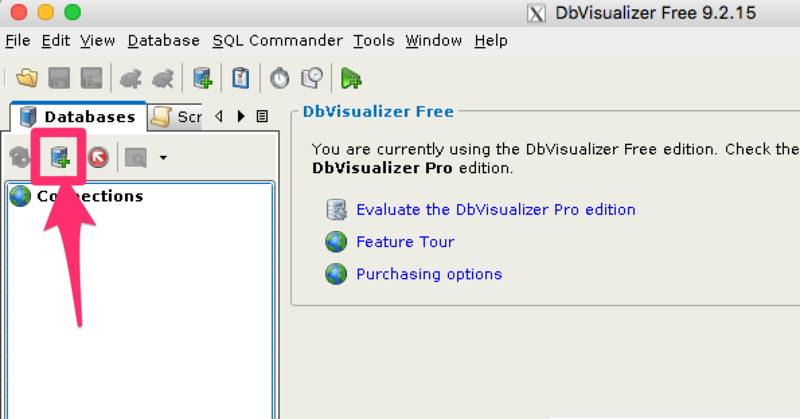 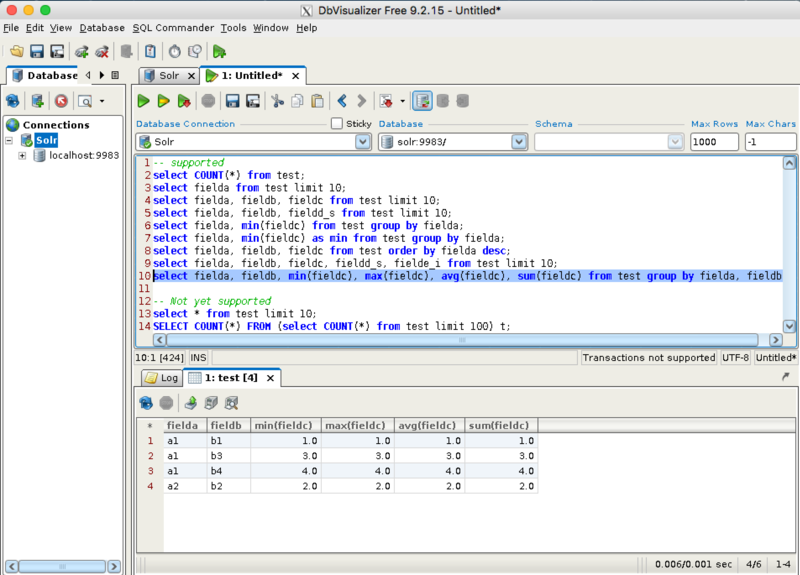 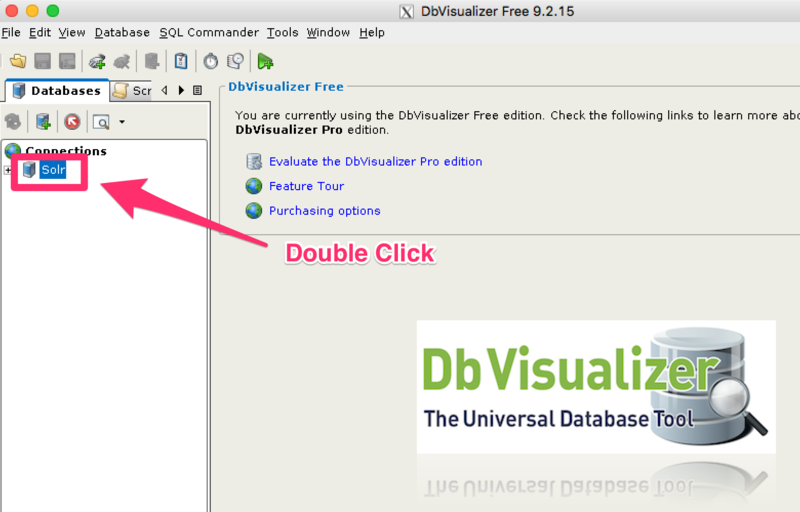 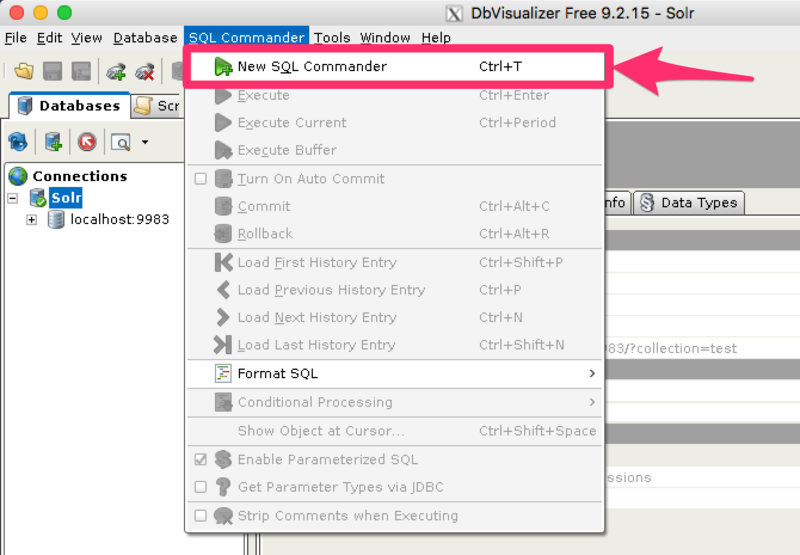 Solr’s JDBC driver supports DBVisualizer for querying Solr. 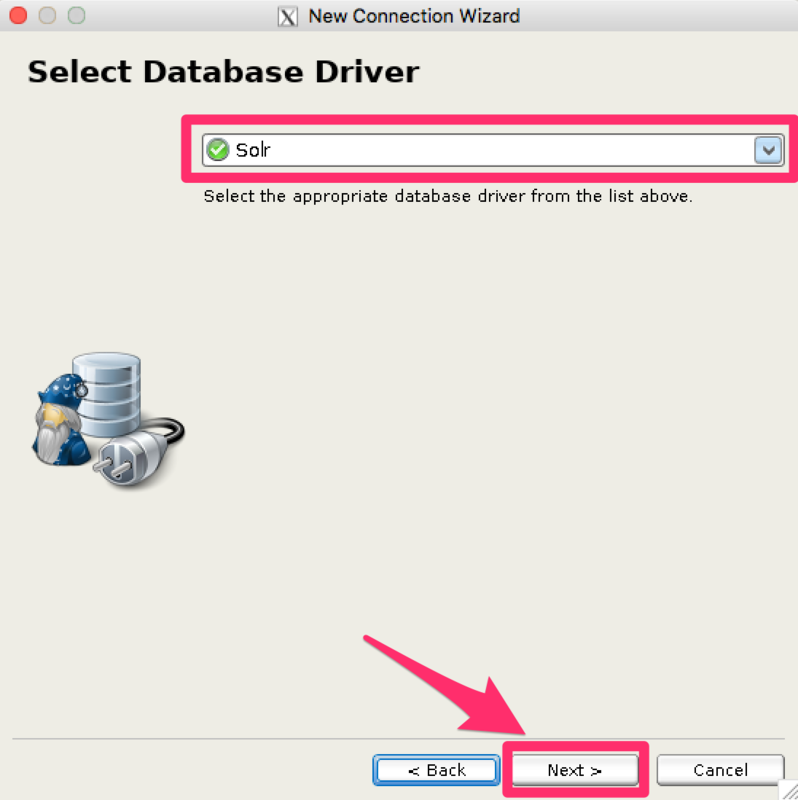 Once the driver has been created, you can create a connection to Solr with the connection string format outlined in the generic section and use the SQL Commander to issue queries. 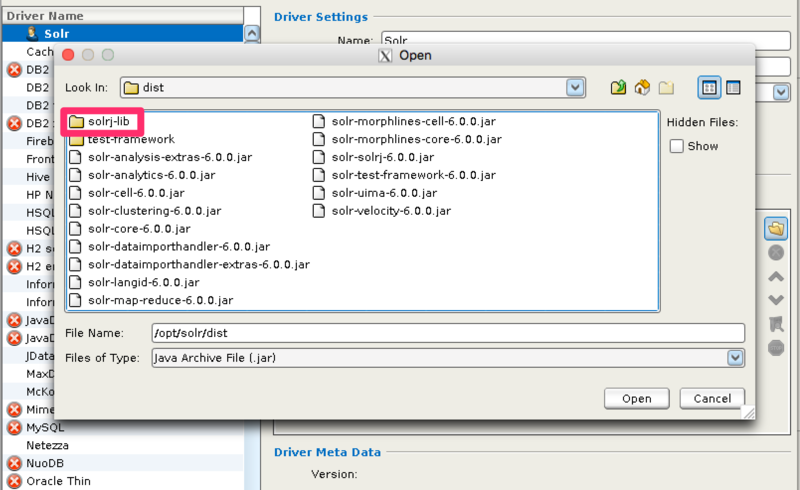 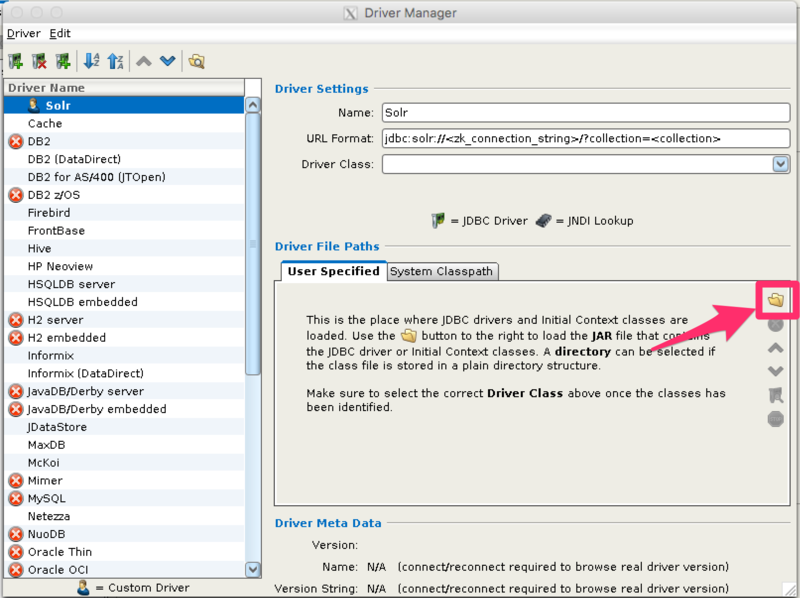 From the Tools menu, choose Driver Manager to add a driver. 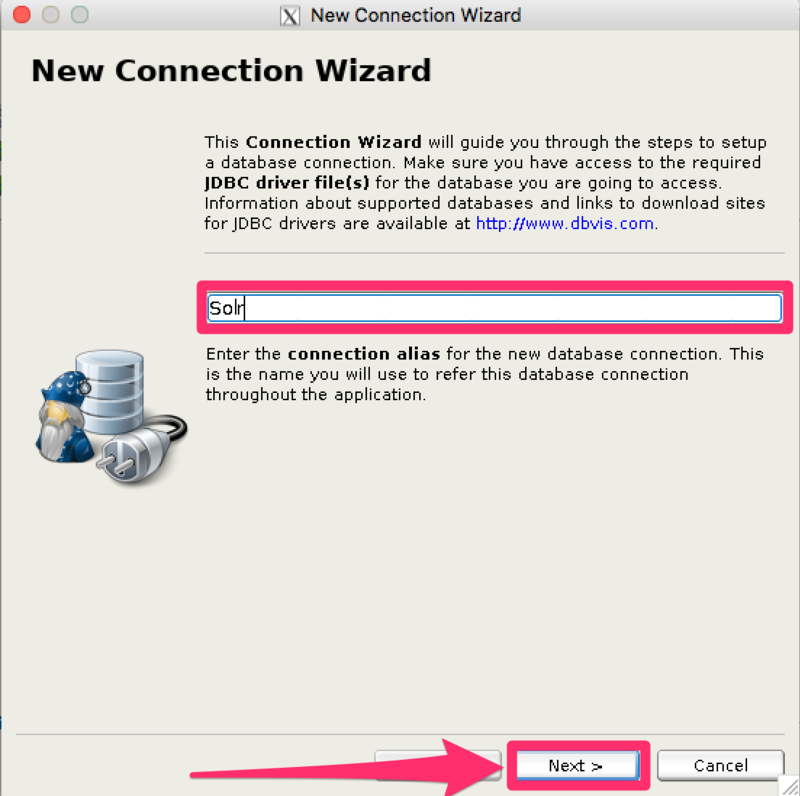 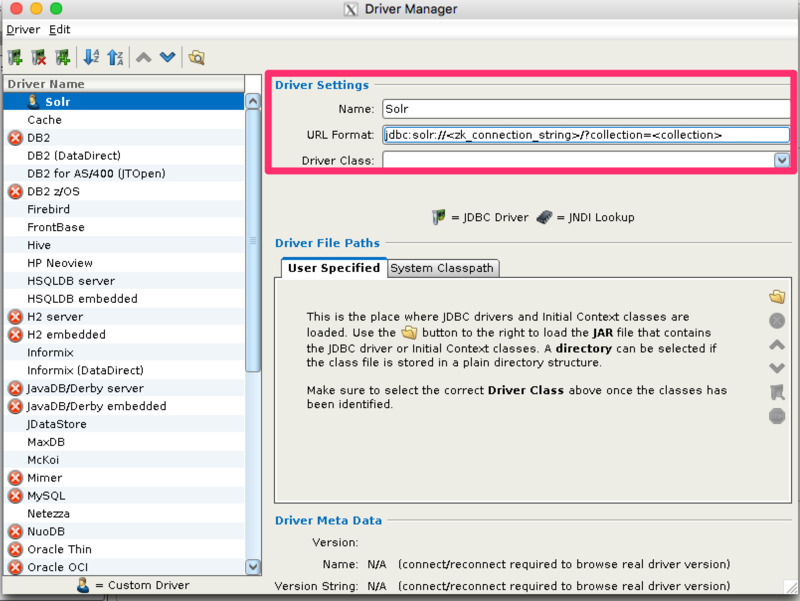 Provide a name for the driver, and provide the URL format: jdbc:solr://<zk_connection_string>/?collection=<collection>. 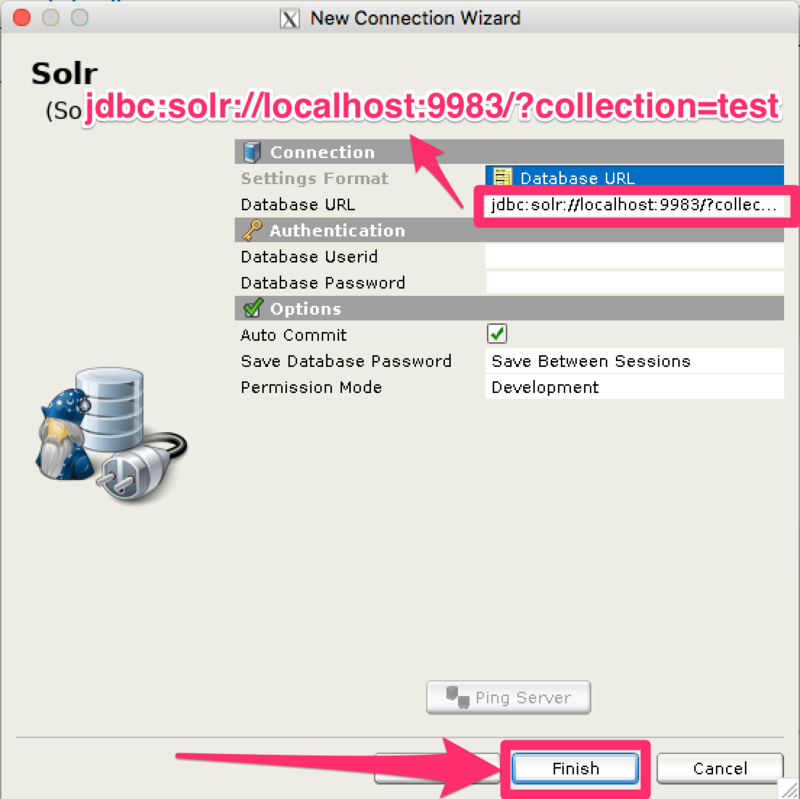 Do not fill in values for the variables “zk_connection_string” and “collection”, those will be provided later when the connection to Solr is configured. 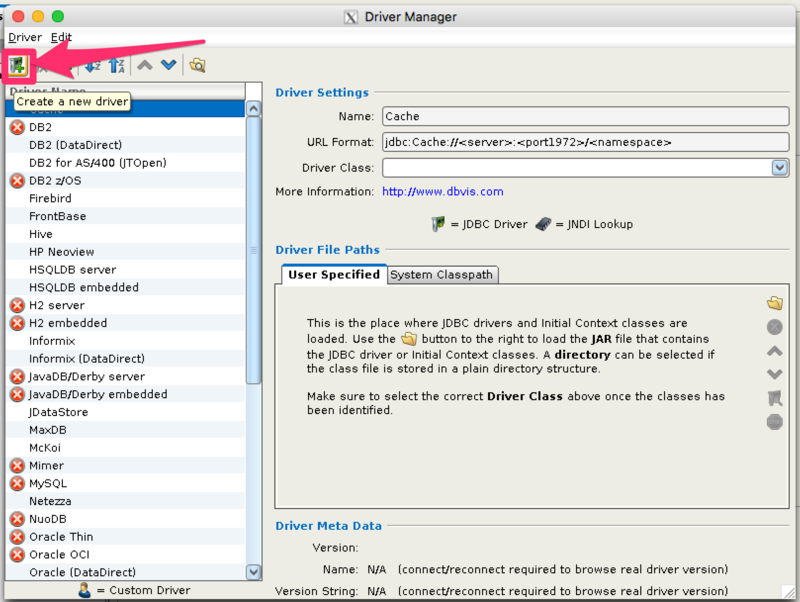 The Driver Class will also be automatically added when the driver .jars are added. 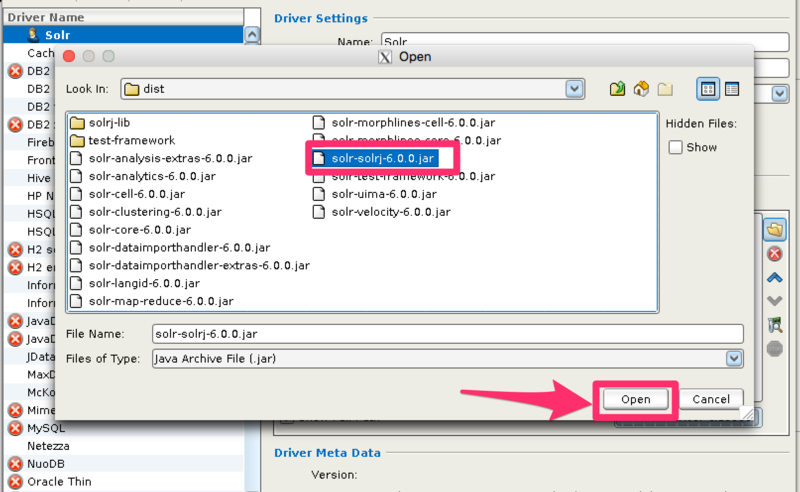 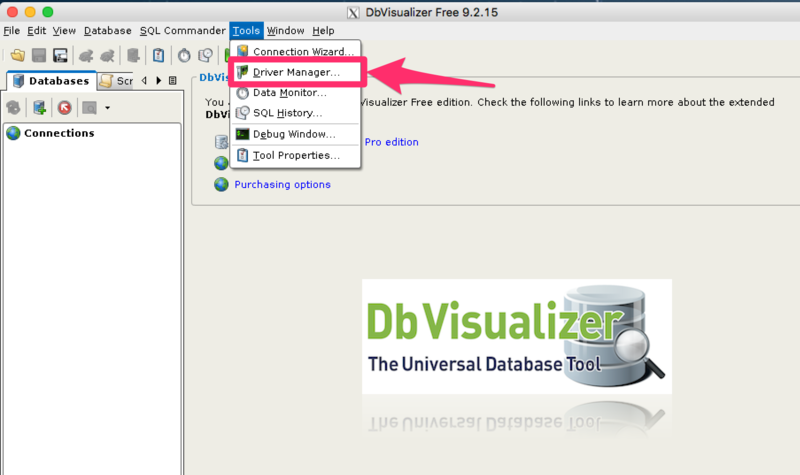 Once the driver files have been added, you can close the Driver Manager. 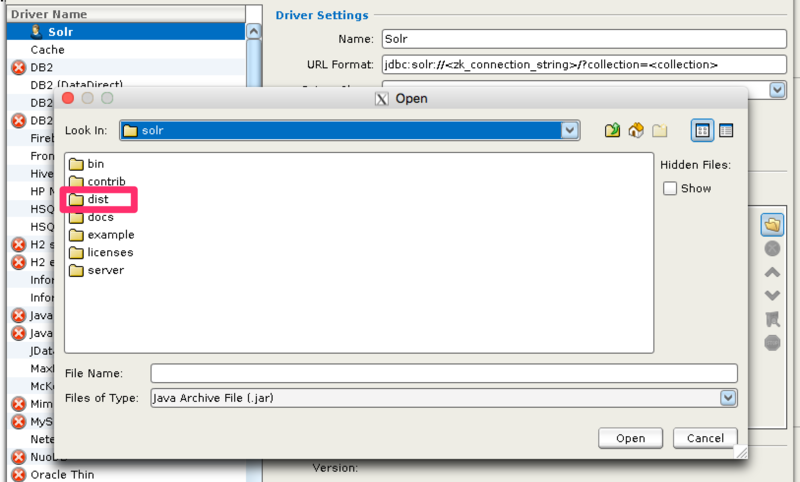 Next, create a connection to Solr using the driver just created. 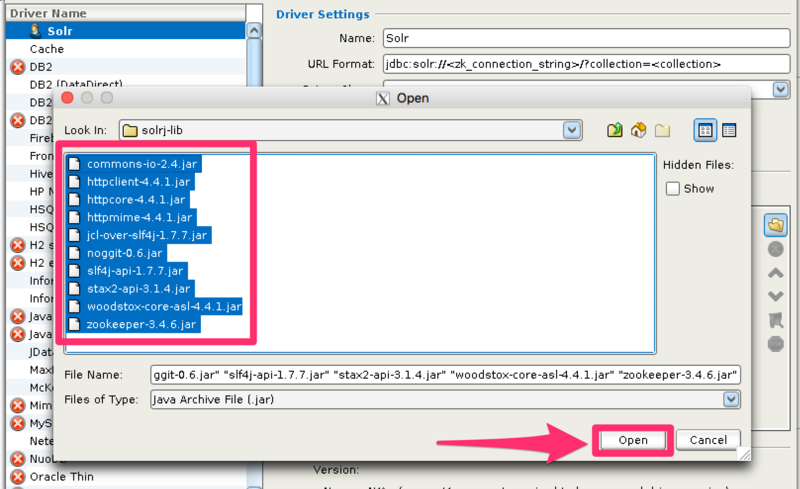 Once the connection has been created, double-click on it to open the connection details screen and connect to Solr. 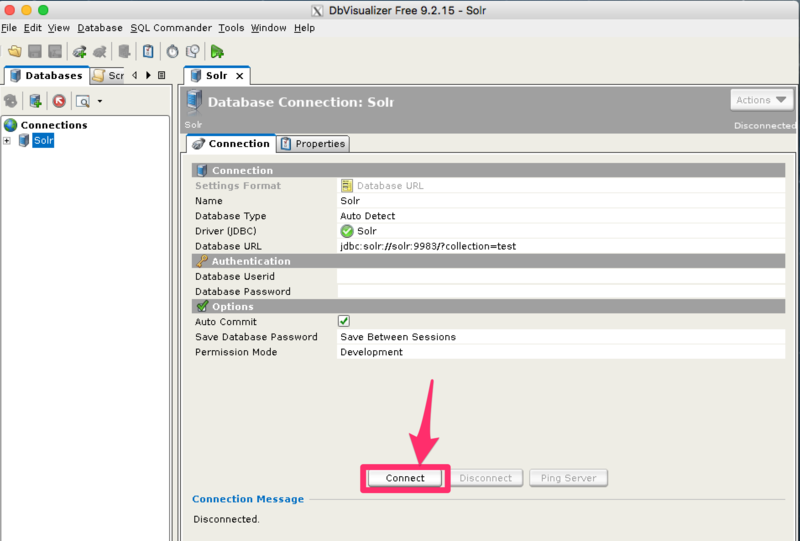 When the connection is established, you can use the SQL Commander to issue queries and view data.